I absolutely love reading What I Ate Wednesday posts and realised maybe I’d also like writing my own. Maybe no one cares one bit about what I ate one day last week, but if you do, keep on reading! 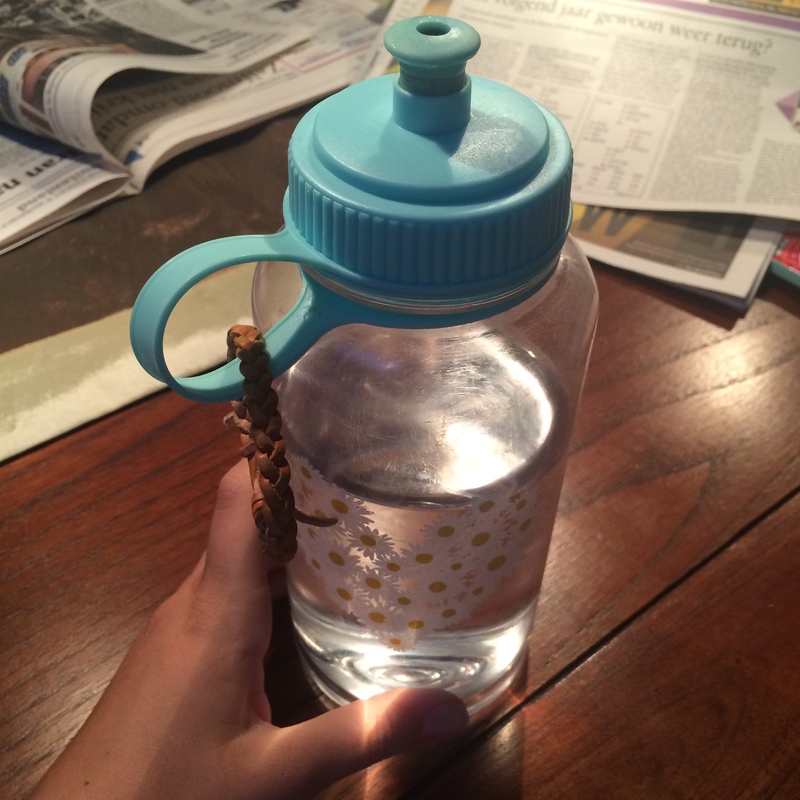 Before I eat anything in the morning, I drink a litre of water. I know lots of health-conscious people drone on about this, but I’ve really seen the benefits. A big bottle of cold water really wakes me up, and it flushes my system ready to start the new day. On this particular morning I had a bit more time so I decided to make my favourite winter breakfast: oatmeal. I make mine with almond milk and always add some sort of fruit while my oatmeal is bubbling away on the stove, this time choosing blueberries. 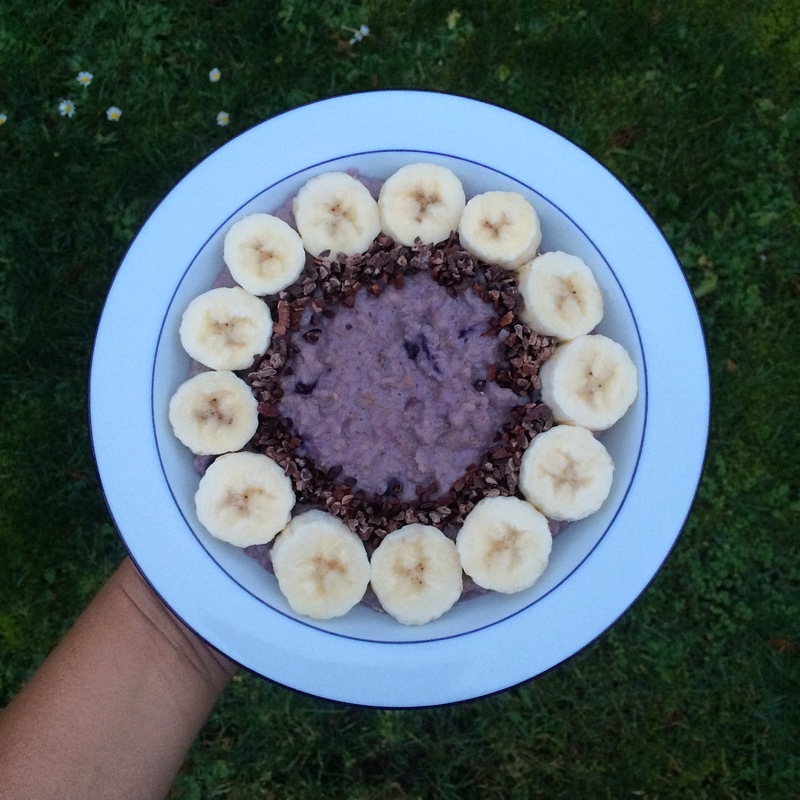 Topped with banana and cacao nibs, this really fills me up! 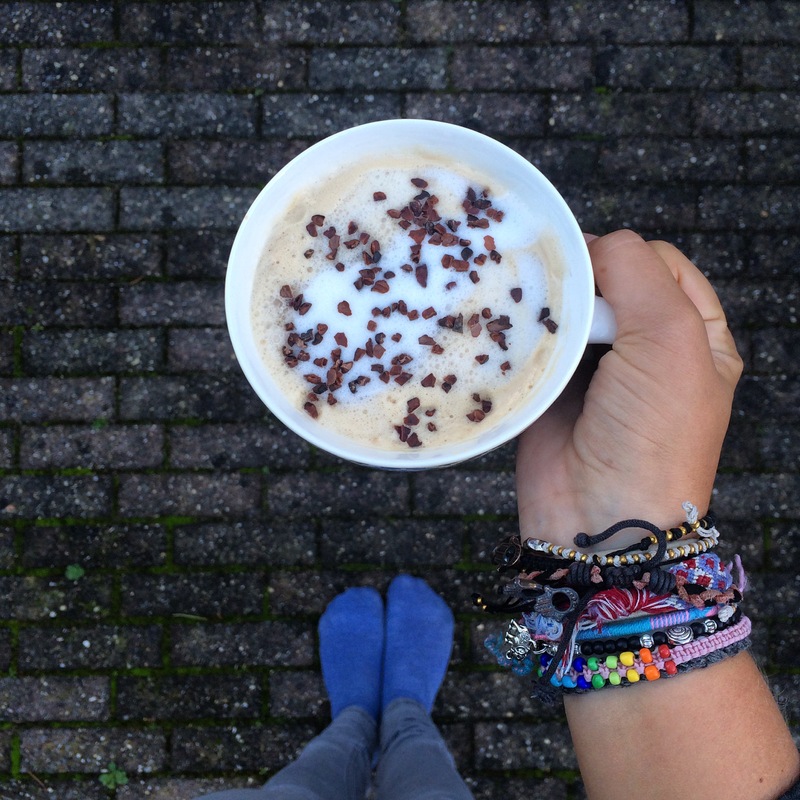 Usually around 11 I start to crave one of my favourite hot beverages: coffee. Funnily enough I don’t really drink coffee for the caffeine, I just really like the taste. For this reason I’ve recently stuck to decaf coffee, which is much nicer on my stomach. I usually flavour mine with caramel syrup and froth up some coconut milk, and this time topped it with some cacao nibs (aka. my new obsession). I also sometimes grab some caramel flavoured rice crackers if I’m feeling peckish. Is there anything better then avocado’s? I don’t think so! 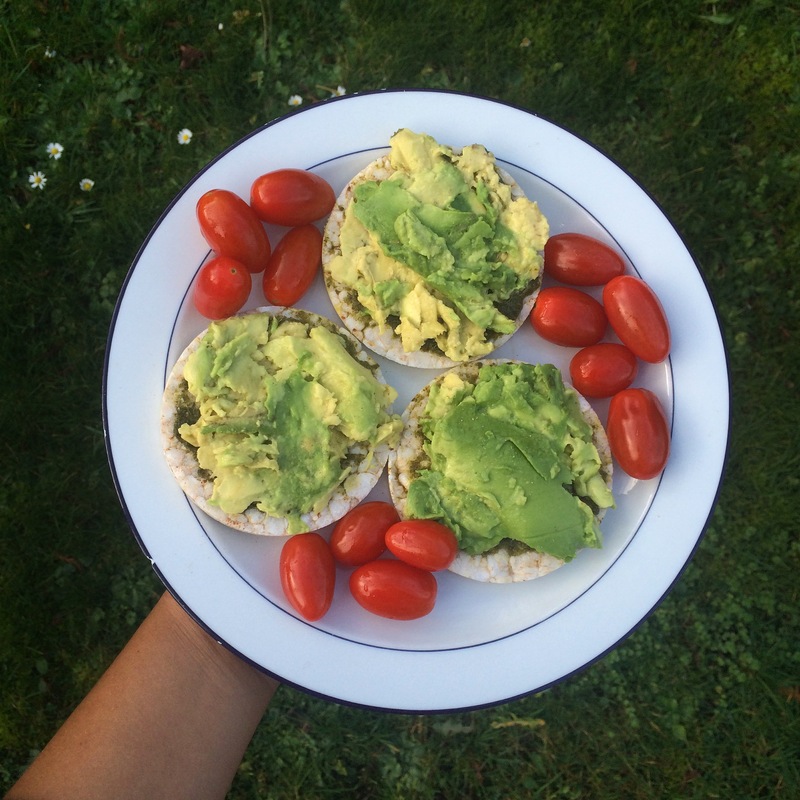 For this lunch I piled a whole avocado onto three rice crackers and topped it with some salt, pepper and garlic powder. With a side of tomatoes, this is one of my all time favourites. 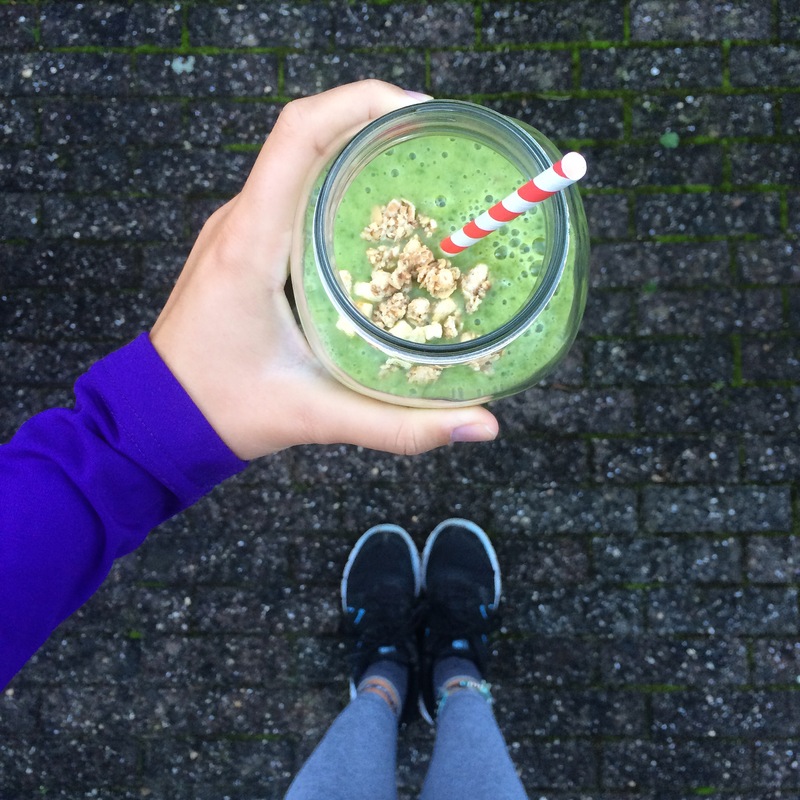 I’ve recently fallen in love with green smoothies, despite always thinking they sounded gross. I realised that if I put enough fruit in the smoothie, you don’t taste any of the spinach. This combo was two bananas, two cups of spinach, a cup of mango and some water. Since discovering pre-made pizza bases (yes, I’m lazy), this has been one of my go to dinners. 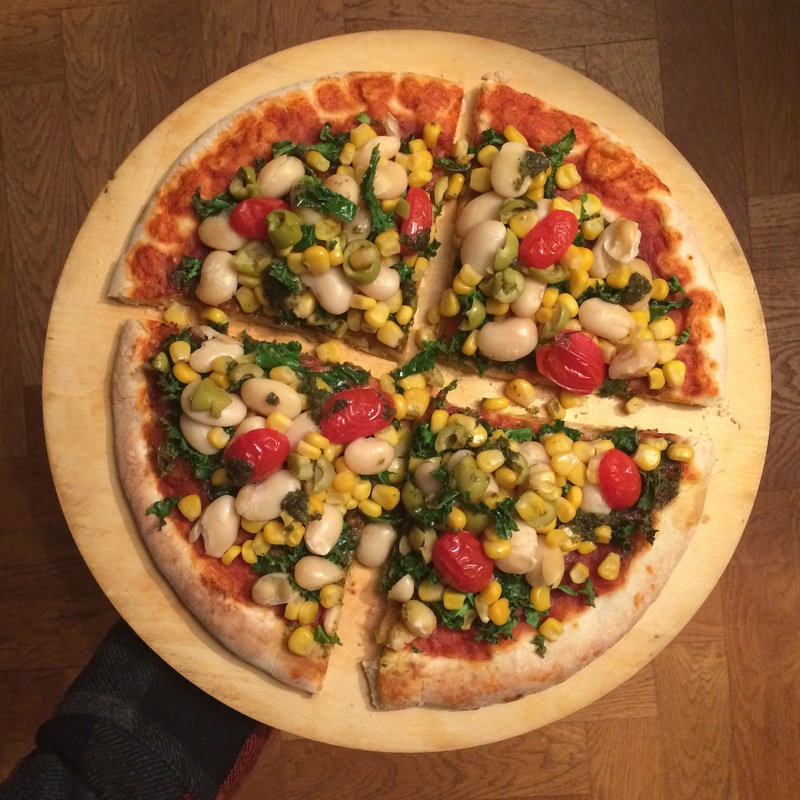 I loaded my pizza with a bunch of goodies: green pesto, kale, lima beans, sweetcorn, olives and tomatoes. I really recommend adding beans to you vegan pizza; they add a great texture and make it really filling. It’s a habit I’m trying to break, but I always grab a small snack when I’m having my evening tea. 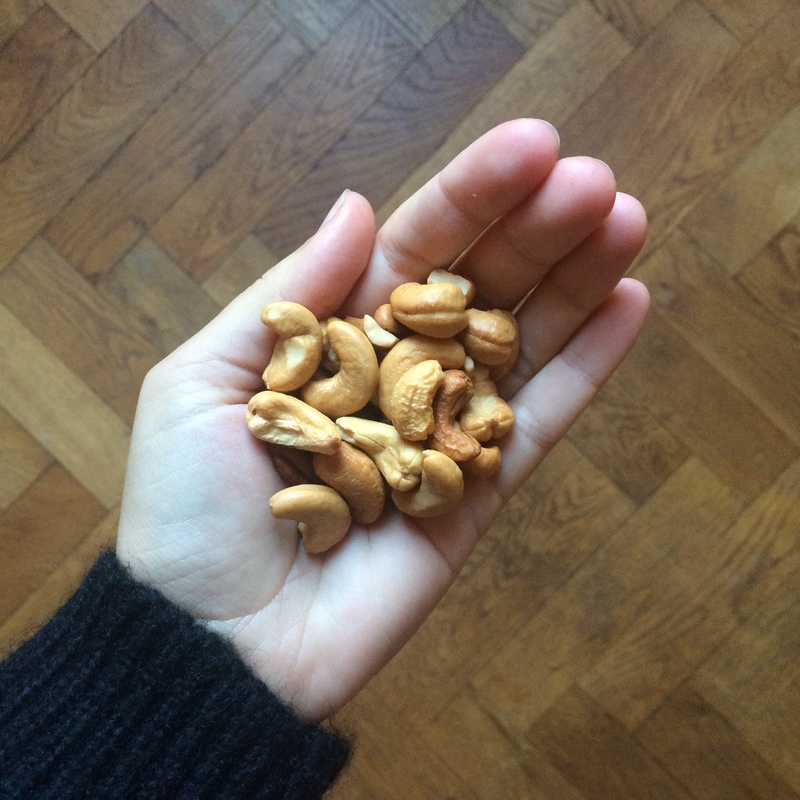 This time I went for a healthy option, unsalted cashew nuts. There are definitely nights where I have slightly less healthy snacks though (read: chocolate and biscuits)! *Also a quick note: I aim to drink two to three litres of water a day, and usually consume at least four huge mugs of tea. But it would have been a very long post if I included all those!